Federal agents tasked with keeping US airports safe failed to stop prohibited items from passing through security 95 percent of the time, an internal investigation has revealed. Officials with the US Department of Homeland Security recently attempted to smuggle contraband through airport checkpoints and succeeded nearly every single time, ABC News reported on Monday this week. 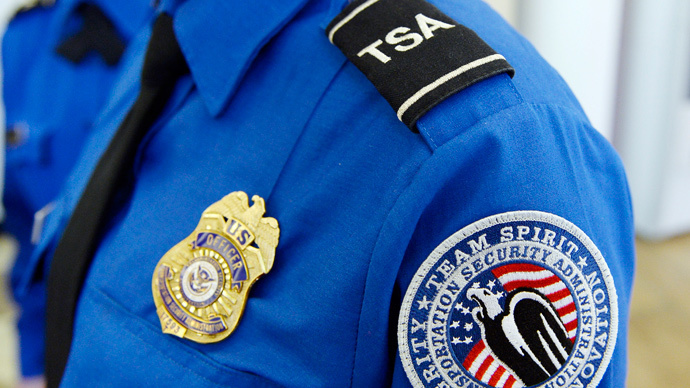 According to a recent DHS General’s report obtained by the network, Transportation Security Administration agents failed 67 out of 70 tests conducted to gauge whether or not airport screeners are up to snuff. Acting undercover, DHS agents succeeded in bringing explosives and banned weapons through airport checkpoints more often than nine-out-of-ten times, the network reported. In one occurrence, according to ABC, an undercover agent was stopped after triggering a magnetometer, but still was able to sneak through the TSA checkpoint with a supposed explosive device taped to his back. The ABC News report lacks specifics concerning when or where the testing occurred, but said that it had recently concluded and subsequently caused DHS Secretary Jeh Johnson to demand the agency adopt new, unspecified procedures. “Upon learning the initial findings of the Office of Inspector General's report, Secretary Johnson immediately directed TSA to implement a series of actions, several of which are now in place, to address the issues raised in the report,” the DHS said in a statement to ABC News. The TSA made a record number of weapon confiscations during the last calendar year, seizing more than 2,000 guns, as well as flash and smoke grenades, knives, drugs and stun guns, according to the agency’s own admissions.